Dr.BGR Publications support open access. We do not receive any type of fund from any institution (or) government. There is no submission fee. We do not charge for manuscript processing and editing fee. Authors have to pay membership fee. The membership fees are required to meet operations expenses such as plagiarism checking, paper editing, website update and maintenance of published articles till the computer world ends. 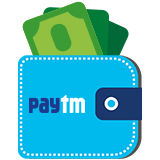 Authors can pay the membership charge by online bank transfer, bank deposit and Paytm. There is no hidden charge.